The COBI Bosch Hub is a smartphone interface (and companion software) designed to merge your mobile device with your Bosch powered electric bike. It offers system feedback and control while charging your device. 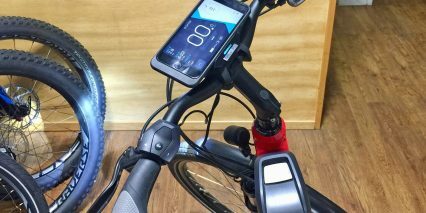 It’s basically a mount that turns your smartphone into the ebike display! With this system, you can leverage the wireless and GPS features of your phone to get realtime directions and route planning, use a heart rate monitor with health apps, play music, take phone calls and more… all through the COBI app. 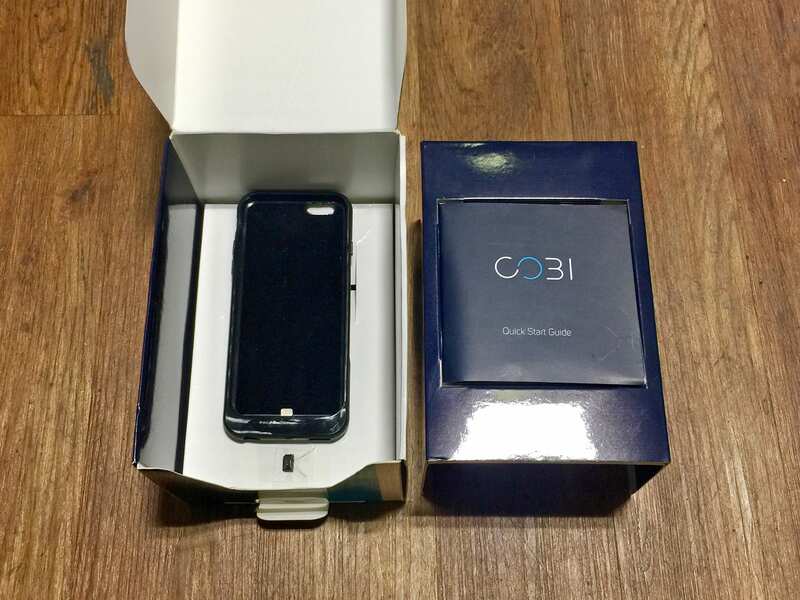 Because smartphones have so many sensors in them and can get software updates ongoing, it’s impossible to say what new and improved features COBI may role out in the future… but this review should serve as a good starting point. It’s also worth noting that a similar COBI product has been available for non-Bosch ebikes, and the company has a couple of generations of hardware out there since being successfully funded on Kickstarter in 2016. This review is focused primarily on the Bosch Hub because COBI was acquired by Bosch in September 2017 and this version of the product is very easy to install and begin using, it’s plug-and-play by nature. For those who are interested in seeing the generic version of the COBI system, check out this review of the IZIP E3 Protour which uses a TranzX drive system vs. Bosch. 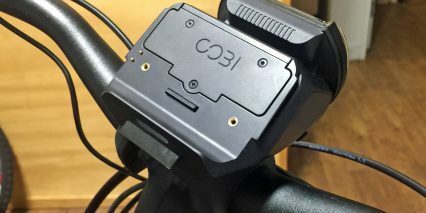 The COBI Bosch Hub might appeal to you if you want a larger color display that can help you plan routes, forecast weather along different sections and times for your ride, and engage with traditional phone calls and music, all front and center vs. having an ebike display AND smartphone display right next to it, cluttering your cockpit. 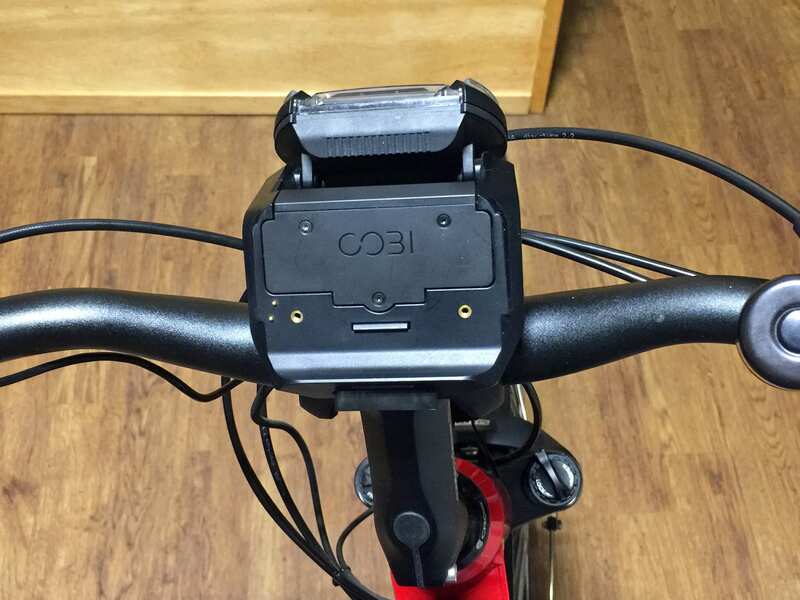 One of my favorite parts about the COBI Bosch Hub is that it charges your phone from the main ebike battery when the bike is turned on. Many times while riding, I’ll get anxious about how much battery capacity is left in my phone while using it to run applications, and yet, there’s this high capacity electric bike battery just inches away! With COBI, you merge the two systems and they actually share data back and forth while charging. In particular, you get speed and cadence info from the Bosch sensors that can be used for range estimates and health tracking apps. One gripe I have about this hardware interface is that it only has one port for charging the phone, but no extra ports for filling accessories. This is what the stock Bosch Intuvia and Nyon displays offered (a 5 Volt Micro USB port on the right side). 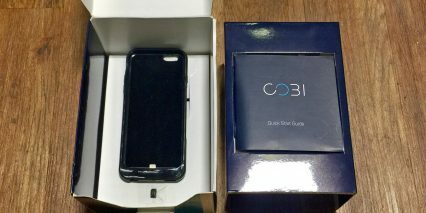 Another gripe is that not all smartphones are water resistant and the optional COBI phone cases did not seem to be fully sealed against water. They also seemed a bit long and thick with hard edges on the base (to slide into the mount) vs. being thin and smooth like my original phone case… So I’m a big fan of the spring loaded universal mount and wired option from COBI. It’s a bit bulkier this way, but at least my phone looks normal and fits into my pocket when taken off of the bike. Also, I discovered that even though your phone plugs into COBI mount, it’s actually using Bluetooth to communicate and control the bike vs. wired signals. This takes extra energy and introduces signal delays vs. wired-in. 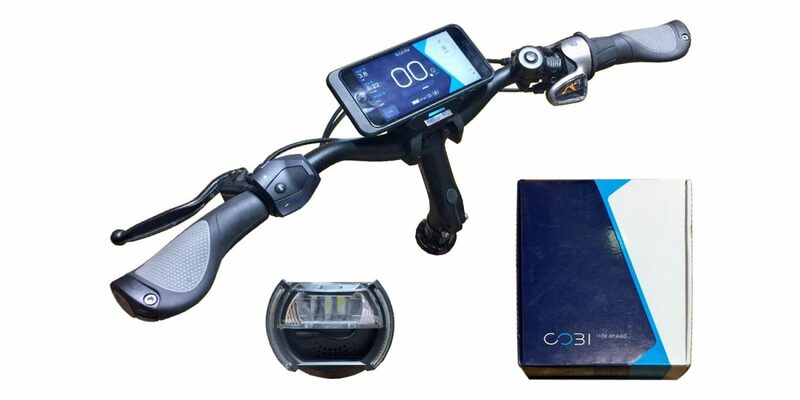 Depending on the accessories that your electric bike may already have, COBI sells three versions of their hub called the COBI Sport (just the phone mount), COBI (phone mount and headlight), and COBI Plus (phone mount, headlight, and rear light). 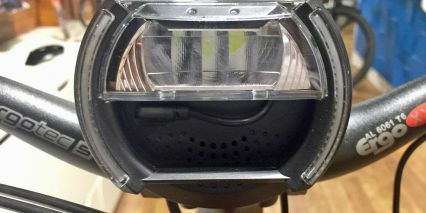 The headlight is aimable, very bright, and cool looking with a central beam and two curved LED tracks. In the center of the mount is a speaker which blasts a siren if the bike has been armed and is also used to sound an electronic bell for navigating traffic. The phone mount and headlight work very well together and are both powered off of the main battery while the optional rear light contains a rechargeable battery and must be activated physically by pressing the circular rubberized button at the center. It’s just not as clean and integrated as the main unit, but it does have a turn signal feature and could be a welcome upgrade for electric bikes that didn’t come with any lights. For me, the best part about the COBI Bosch hub is that it leverages the existing display mount and button pad that Bosch Intuvia and Nyon bikes come with. You don’t have to add an additional button pad or use the touch screen interface on the smartphone, just reach over from the left grip and press the +, i, and – buttons like you always have. This feels solid, safe, and the tactile clicks are very satisfying and intuitive, so you don’t have to glance down while riding to know what’s happening. 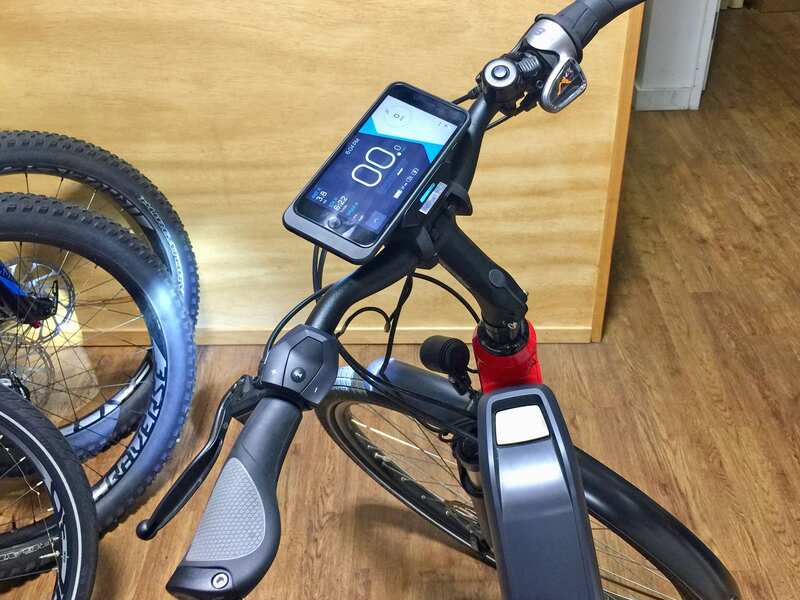 During my time with the COBI Bosch Hub display, and with help and guidance from Chris Nolte of Propel Bikes in Brooklyn, I was able to explore how different phones might mount and also how the COBI system itself mounts. Interestingly, you don’t have to leave the COBI on your bike, you can actually slide it off just like the original Intuvia and Nyon and take it with you inside for safe keeping! For those who want to leave t attached however, you can insert the set screw below the mount before re-mounting the Intuvia slide to your handlebars. I often see this set screw in use at Ebike Expo and demo day events because they don’t want to misplace displays with so many people taking test rides. 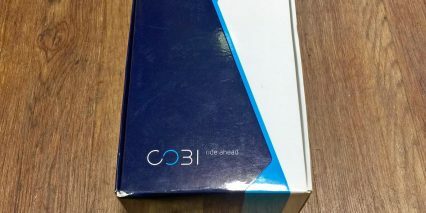 Some of the different readouts you have access to with COBI are your ride distance, time, battery level, lights, the four levels of assist (Eco, Tour, Sport, Turbo), a power meter, and something called ETA. This is an estimate for your time of arrival based on current performance. It’s a neat feature that leverages GPS route planning. Another cool option here is to maximize your ride for speed, power savings, or quietness when selecting a destination. I’m not sure how they determine the quietest route, but it definitely gets you thinking about what might be possible in the future as data gets better and realtime signals are incorporated (like traffic and road closures). When you combine the efficiency and agility of electric bikes with the wireless network and Internet data, you can do some amazing things! As cool as this thing is, the setup process can require some patience because the mount has its own Lithium-ion battery which must be filled before receiving firmware updates… and that has to happen before you can use your phone to start riding. My guess is that the phone mount has the Bluetooth receiver in it along with basic programming that handles signals going from the button pad to your phone and the bikes main controller. It’s a bit redundant, because COBI did not start as part of Bosch, but their solution is not super bulky or complex once the firmware update is finished (for me it took about an hour including charge time). It appears that the battery inside the COBI unit is replaceable but I am not sure what that cell looks like or what type it is (please chime in with the comments below if you know). I like how streamlined the COBI mount and headlight are and was amused and perhaps confused by the optional colored bezels and MTB Style Kit. Perhaps this thing hides wires or makes the bike slightly more aerodynamic? Maybe you could put numbered stickers on this thing if you’re competing in a race? To interact with the different menus on the COBI app you just press the i button on the Intuvia button pad or swipe up and down on the right side of the smartphone to cycle through and then hold the i button to open (or tap using the touch screen). Some of the apps I saw included Apple Health, Komoot and Strava. 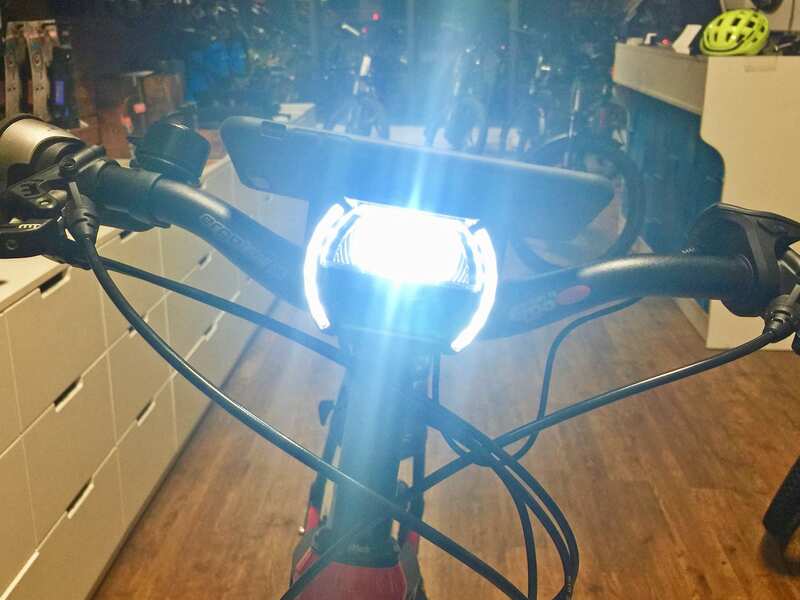 For the starting price of $249, this could be a fun upgrade but I would probably opt for the $299 model with headlight because I like to commute with my ebike. 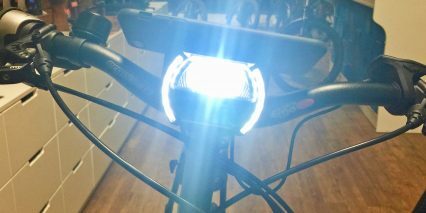 The rear light is neat, but I usually wear a backpack which already has a light on it, and I’m not sure if I’d use the GPS and turn signal feature very much once I knew my route. It will be exciting to see how Bosch refines the COBI system or makes it even more compatible with their own interfaces. Perhaps eventually you won’t need that extra bluetooth battery or the setup process will be more streamlined? My biggest request would be for an upgrade kit to jump from Purion displays to the COBI interface without needing to buy an Intuvia display plus a COBI Bosch Hub just to get the correct interface. I haven’t been as excited about the small Purion display panel because its buttons aren’t as consistent to click and it doesn’t have as many readouts. 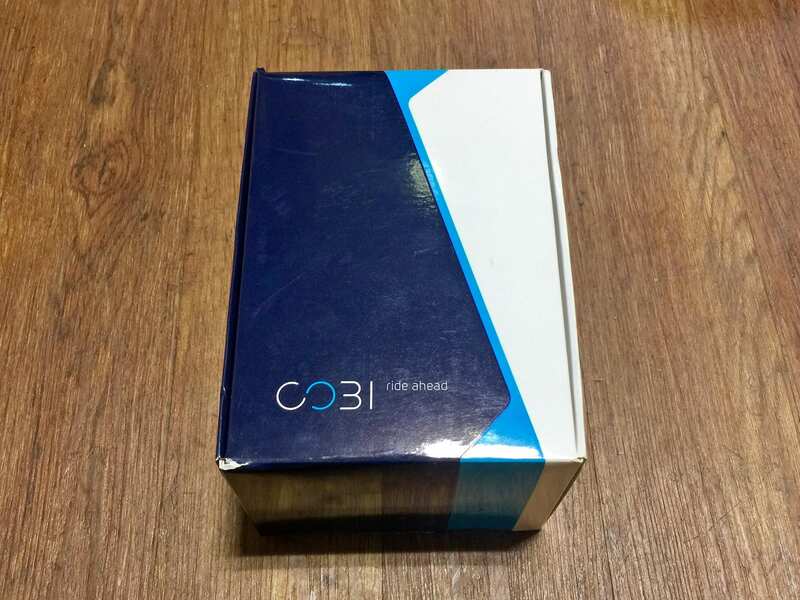 COBI could take me up to and beyond Intuvia, which is large and easy to read, and the incremental price difference of ~$100 might be worth it with a direct adapter from Bosch. Time will tell, but at the very least it’s neat to see official Bosch support of COBI now because leading up to this acquisition, their hardware was more of a piggy back hack than a formally supported upgrade. 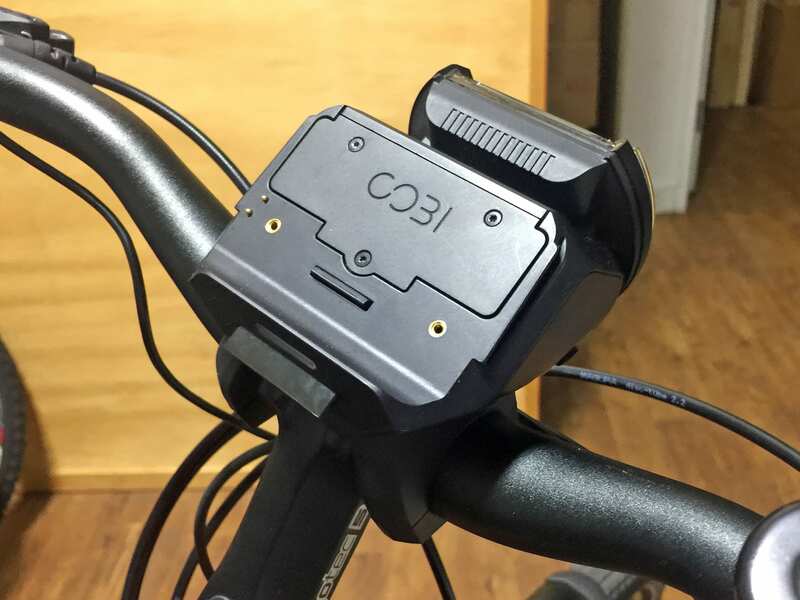 For those who want to add some style to their bike, COBI sells a few different colored bezels and an MTB Style Kit shield thing that could hide some of the wires and maybe reduce wind noise around the display? It appears that the COBI mount only works with the Intuvia display mount for now, but Chris told me that shops can upgrade Purion displays to Intuvia to make this work… it’s great to know that this is possible, though it seems a bit expensive and wasteful if you don’t need the Intuvia LCD, maybe Bosch will create a new upgrade kit in the future that goes from Purion to COBI directly? A YouTube commenter named Bruce Ballad shared the following thoughts and concerns about the COBI system: Would this type of persistent usage (with the same outlines and images on screen) create burn in and leave a ghosted outline on your phone screen? Is your phone more likely to get damaged in even a small crash? Many phones are not rain friendly so I’d be concerned about damage over time when riding in wet conditions. What if I get a call, how quickly can it be unmounted if it’s private and will the call interrupt the other readouts on the screen? if you are using the Universal mount do you have to plug in the micro USB to the phone each time you use it? Sounds annoying if so. 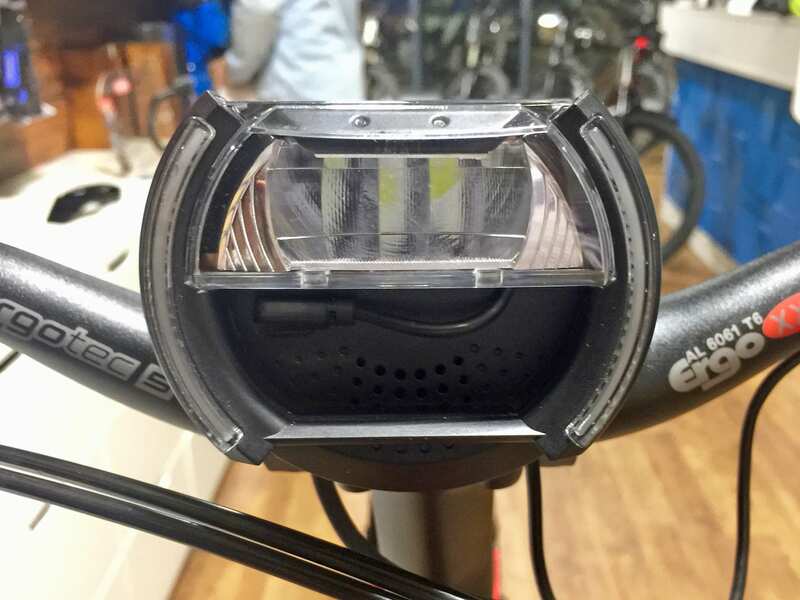 You say (I think) that the rear light has to be activated on and off manually Cobi says on their site that the rear light is: ” Automatic, wireless rear light” What is the reality on this? Do you think it is worth buying now or better to wait until a more complete implementation is released by Bosch/Cobi? In other words, is the Cobi system ready for prime time, in your opinion? Be well and hope to see you down here in Encinitas. As fro your last question about purchasing now or waiting… I’m a bit mixed. My guess is that there will be an update on the COBI system at some point and it may offer new features and a nicer mount or something, but the software of ALL existing COBI software will probably get a free update. If you like the concept, I’d go now because it’s probably going to take some time for the companies to integrate and release something new. Thanks Court. Wishing you a happy and healthy Christmas and an amazing New Year. Hi Court, great review. I have the Bosch Nyon controller. 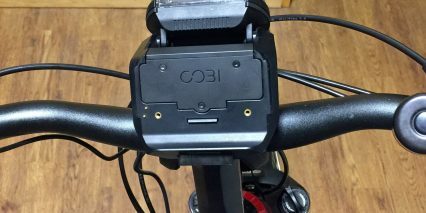 Are you aware of any plans by Bosch / COBI to produce a interface that will fit to this mount? Hi Peter! I though that the Intuvia and Nyon used the same interface and only had a slightly different button pad? If that is the case, perhaps your mount is already compatible with the COBI system? Maybe you could ask around in the Bosch forums. Thanks Court. I’ve asked the question as you suggest on the Bosch forum. Hopefully, this will get a response even though this post is over 1 year old. I’m thinking of getting a Trek CrossRip+ which has a Bosch drive with a Purion Display. When I look at the COBI website, the don’t mention that you need a specific display in order to hook in this hub, you just need a Bosch system. So, can anyone verify that this will work with a bike that is using the Purion Display? Also, the COBI website as linked above dose not show localization or shipping to the US. This seems odd, so I think I must just be looking in the wrong place. Can anyone link me to the correct site for ordering for the US? Hi Jon! I reached out to Bosch for official feedback about this and was told the following: “Currently COBI is not available in the US but we are planning to bring it in the future. We cannot comment on a launch date or backwards compatibility for Purion. In terms of European users, they need to switch from Purion to an Intuvia mounting bracket and then the COBI system could be added”.